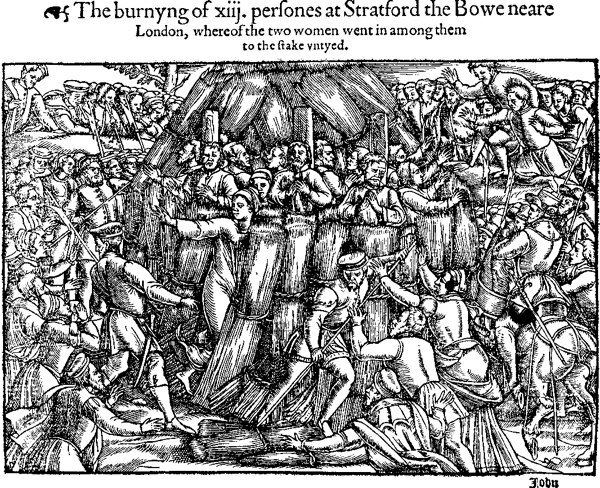 On this day in 1556, some 20000 people gathered in Stratford to witness the burning at the stake by the Catholic Queen Mary Tudor of thirteen Protestants (eleven men and two women) accused of heresy. There is a memorial to the martyrs outside the church of St John in Stratford. 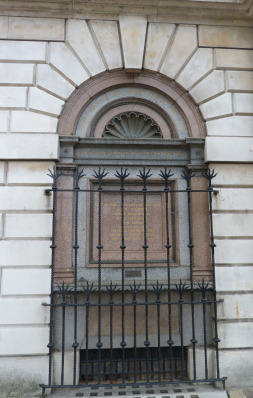 By way of balance, there are various memorials to Catholics executed by the Protestant Tudors – and Stuarts – in the church of St Etheldreda in Holborn. 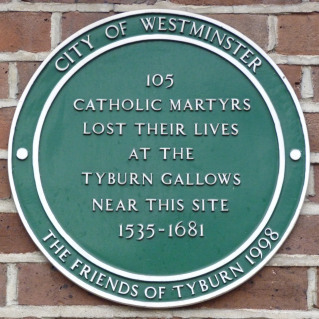 There is another, near the site of the infamous “Tyburn Tree”, on Tyburn Convent. This entry was posted in London History on June 27, 2015 by Bob Jones - The Lost City of London.